Please let us know if you have any questions (715-796-2256)Conferences will be March 12 and 14 from 4-8 PM each day. The book fair will also be setup during these dates so stop by to support reading at home and at SCC. Similar to Fall Parent/Teacher conferences, students will be leading the conferences; this format is called student-led conferences. 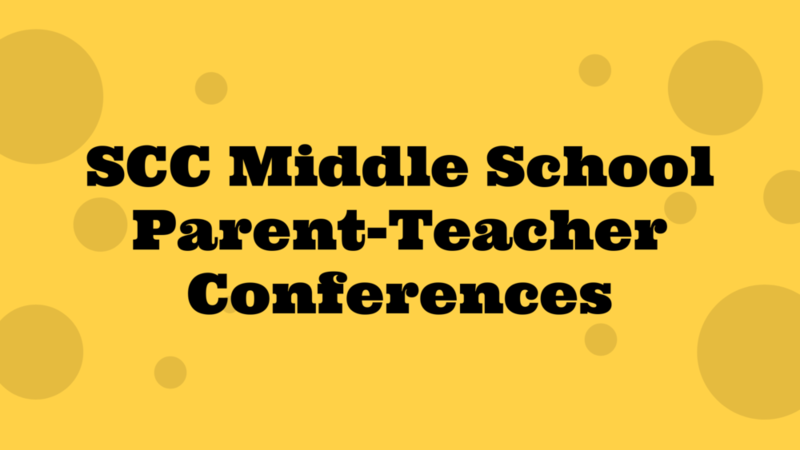 We plan on continuing this format this Spring because we’ve received overwhelming positive comments and input from participating parents, as well as believe these conferences provide deeper insight into a student’s personal learning. In order to facilitate this process we would like to invite those students with the last names that begin with A-L to attend conferences on Tuesday, and students with the last names that begin with M-Z on Thursday. Of course, if that doesn’t work for you please come on either night as it is more important that your child present than not make it because of the breakdown in the alphabet.